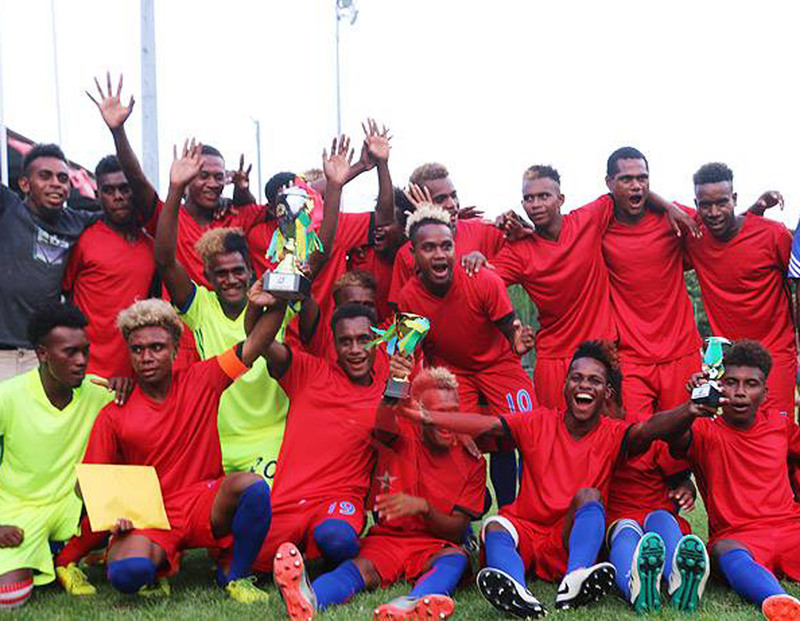 The 2018 Youth Solomon Cup for U-16 and U-19 divisions came to a close last week with the winners coming from either side of the Solomon Islands. Taking out the U-19 division were Malaita while Western finished top in the U-16 division. Western sealed the victory after their final round robin match against Renbel, which they won 3-1 at the SIFF Academy Field, saw them finish with 11 points from two draws and three wins. Western U-16 coach Alick Collins said he was impressed with the consistency of his side’s performances throughout the competition. “We have been preparing for the past three months and finally our efforts have paid off,” he said. “Our aim was to win the tournament and we did it. I’m impressed with how the team performed from the start up until the final match. In addition, Lency Mamopio picked up the Golden Boot for Western with five goals in five games. In the U-19 division an effective Malaita Eagles side took out the title with a 5-2 win over Central securing a 100 per cent winning record. Malaita coach Robert Wanedala said his side deserved to be crowned champions after an impressive run of performances. “I think my boys did really well since day one of the tournament and they showed on the pitch what they need to do to become champions,” he said. The side were determined to repeat the success of the senior squad, which won the 2017 Solomon Cup. “Before we came to Honiara our boys knew they were keen to do what the senior Malaita Eagles team did in the Solomon Cup last year. Malaita U-19 were also fortunate in the individual awards with Henley Ramo earning the Player of the Tournament title and Charles Mani taking home the Golden Boot for scoring nine goals in six games.